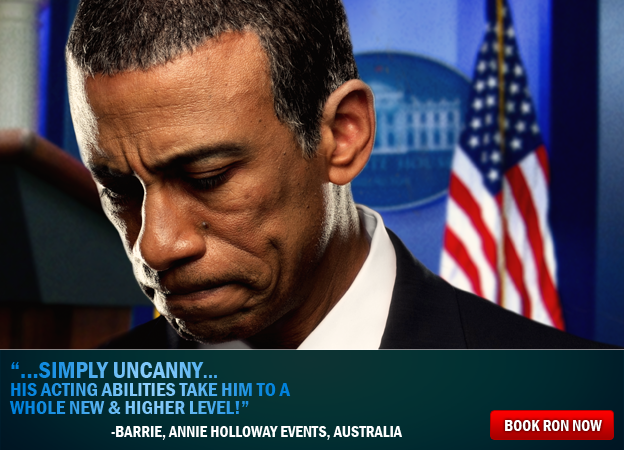 Obama impersonator Ron Butler is an accomplished television, film, and stage actor well-known and respected as the original and best Barack Obama impersonator. Among Barack Obama impersonators, Ron Butler is the only one with professional training and experience in acting, comedy, improv, song, and dance, including personal coaching by Academy Award nominees William H. Macy and Felicity Huffman. Ron Butler is the recipient of an IFP Award for Best Breakout Performance in HBO's Everyday People, and just finished a stint as a main cast member on Nickelodeon's True Jackson VP, where he appeared on 46 episodes. 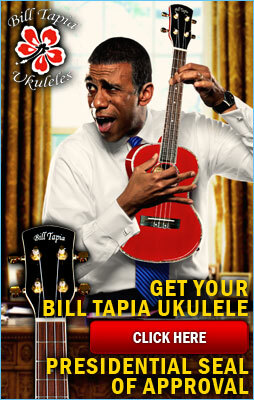 In new media, Ron Butler is best known for his viral musical parody, “Obama! A Modern U.S. President,” which has achieved almost 2.5 million views across its promotional platforms and was featured on FOX News' The O'Reilly Factor. He has also produced, directed, written, and acted in direct collaboration with legendary Hollywood producer Norman Lear. 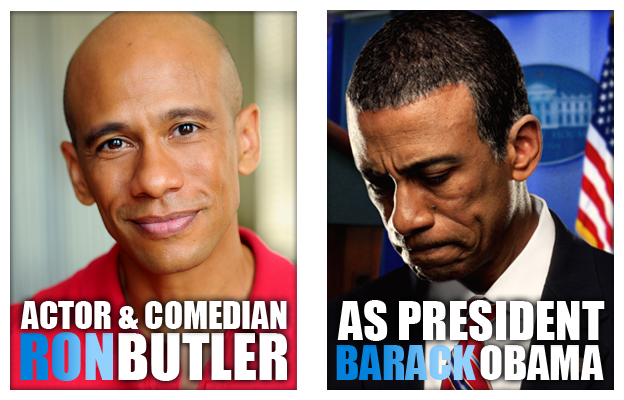 Ron Butler's character acting skills and theatrical training influence and inspire his portrayal of President Obama. Butler performs a Saturday Night Live-style impersonation of President Obama, combining a stunning natural resemblance, an excellent sound-alike impression inspired by Broadway-caliber voice training, and tasteful and up-to-the-minute political, pop cultural, and family-oriented comedy. 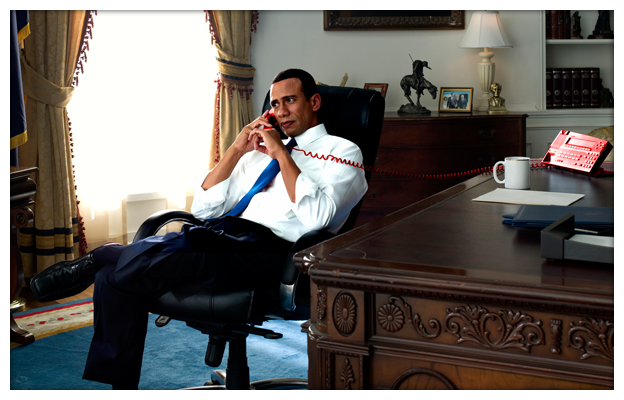 CLICK HERE to read more about Barack Obama impersonator Ron Butler’s creative portrayal of the President. Obama impersonator Ron Butler's portrayal of the President is featured in his one-man Broadway-style live stage show, “The Ron Butler Obama Experience.” Unlike shows performed by other Obama impersonators, which are predominantly setup/punchline comedy limited to a podium, Ron Butler's show incorporates dynamic anecdotal and observational humor and political satire, original songs with choreographed dance, integrated interactive multimedia. 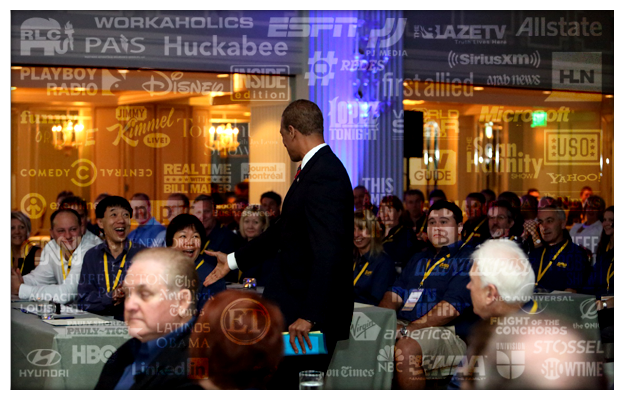 The show comes in a standard 30-minute ready-made format with light customization available, or in a 100% customized format with a variable length so that Obama impersonator Ron Butler's performance can be completely tailored to your company, product, brand, or event. 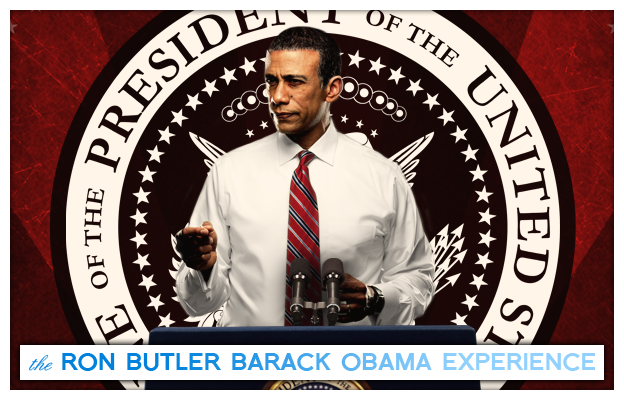 “The Ron Butler Obama Experience” is produced by Politicos Comedy Brigade, the home of political comedy and the producer of the world's best live political comedy shows. CLICK HERE to read more about Politicos Comedy Brigade. Ron Butler, the best Obama impersonator, offers a wide variety of services in the entertainment industry, including live entertainment, event emcee, corporate trade shows, corporate meet & greets, private parties, promotions, ribbon cuttings, publicity stunts, endorsements, photo shoots, professional custom videos, live conferencing, commercials, television, film, radio, voice-overs, and theater. 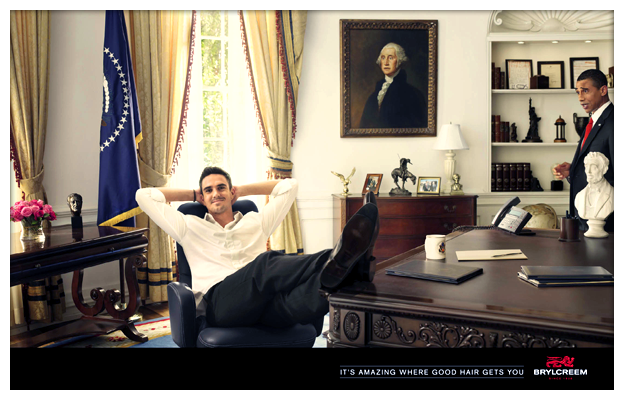 When clients hire Ron Butler to fulfill their entertainment needs, they inevitably end up satisfied with Butler's consummate professionalism, strong creativity, dedication to his craft and to his clients, and of course, a stunning impersonation of President Barack Obama. Butler's rave reviews are truly a testament to the complete package he is as a performer, and represent security to future clients that working with Ron Butler will be a spectacular experience. 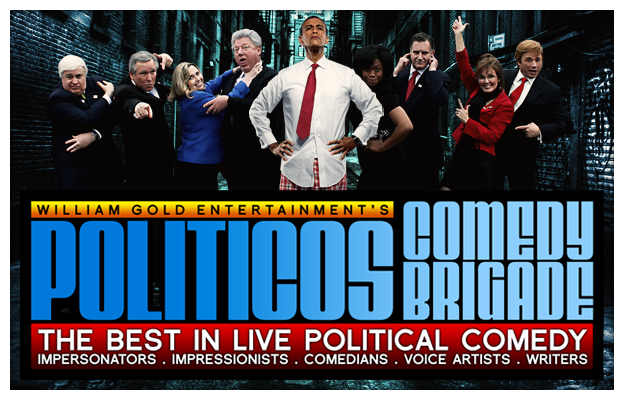 CLICK HERE to view Obama Impersonator Ron Butler And Politicos Comedy Brigade's recent clients, projects, and media. 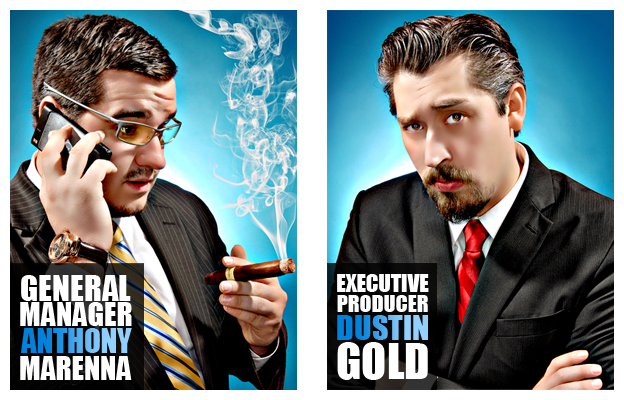 CLICK HERE for the complete interview with Politicos Comedy Brigade Executive Producer Dustin Gold and General Manager Anthony Marenna, who discuss in greater detail what it is like to work with Obama impersonator Ron Butler. Obama impersonator Ron Butler combines skills and experiences which have helped him to craft a brilliant impersonation of President Obama and to perform an excellent live show each and every time, making Ron Butler the perfect person to portray the President on stage, on screen, and beyond, each and every time. CLICK HERE for information on contacting Obama impersonator Ron Butler for media appearances, partnership opportunities, fan mail, and general inquiries.